If you want to improve the look of your home’s garage and, at the same time, enhance its safety and value, then you should consider installing better flooring. You may not realize it, but flooring can do wonders to transform the entire appearance of your garage. What’s more, by carefully choosing and properly installing or applying your flooring material, you can benefit from lasting performance, which will ensure you of the most value from your investment. Residential garage flooring is available in a lot of different options–among them, top-performing Nashville garage floor coatings and finishes. 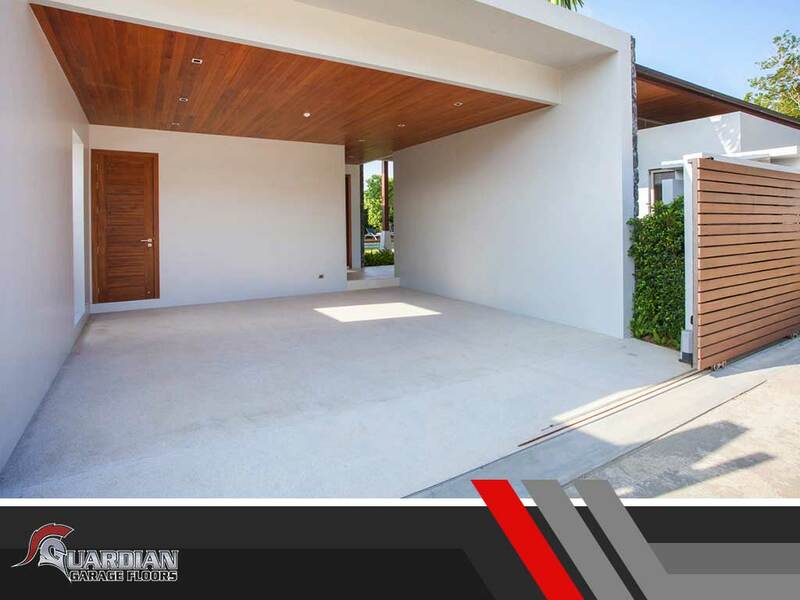 Garage floor specialist Guardian Garage shares these three tips for choosing the right garage flooring for your home. 1. Consider style and design options. Selecting flooring for your garage shouldn’t mean having to put up with dull or boring. Whether you choose plastic tile or epoxy coating, products should come in styles and colors to match the aesthetics you have in mind. 2. Consider the material’s quality and lifespan. The quality of your materials can affect your garage’s lifespan. Materials that are well made and properly applied or installed can last for a long time if cared for as recommended. Among today’s garage floor materials, coatings such as garage floor epoxy are among the most durable. Concrete floors need to be properly prepared prior to coating, and the coating itself applied in such a way that it practically blends with the floor–making it less prone to damage. Guardian Garage coatings are known to be even more reliable than traditional garage epoxy, making for superior performance and a longer lifespan. 3. Consider maintenance. Does your flooring material require special care, or is it difficult to repair or replace? If so, you’ll soon need to spend more time and money to have your flooring redone. Not so with the products Guardian Garage uses. If you’re searching for the best garage floor option for your home, look no further. Call Guardian Garage today at (615) 984-4926 to schedule a consultation. We’ll happily discuss the unique qualities of our different coating materials and technologies with you, so you can better choose from among our top-notch garage floor finishes. We serve clients in and around Nashville, TN. This entry was posted in garage floors and tagged design options, floor maintenace, tips. What Makes Our Flooring Technology Ideal for Schools?